From a small pond near your front entry, to a waterfall to create an outdoor spa, water features are always a welcome addition to any landscaping whether it is your home or office. Studies have shown the sound of water in any setting is often described as relaxing and calming, making for a great way to relieve stress at the end of a long day. Whether you are at home or at work, we know that feeling calm and relaxed is always welcome. 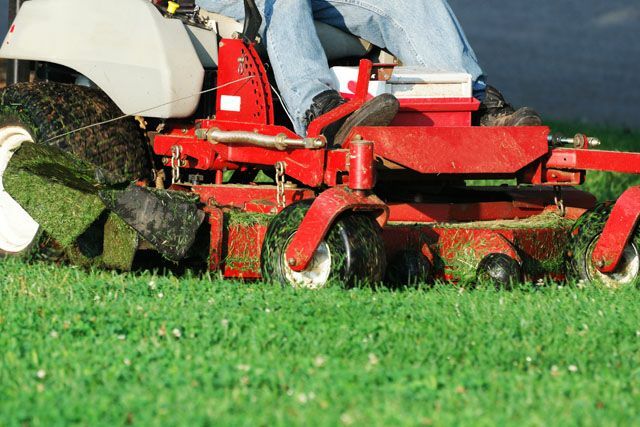 At A Great Choice Lawn Care & Landscaping, our staff is knowledgeable and experienced when it comes to designing and building custom water features perfect for every yard space across the Binghamton and Ithaca NY regions. We have the equipment, the knowledge and the skill to safely and creatively create exactly what it is you are looking for in a manner that is quick and efficient, but also built right the first time. For more than 20 years, our professionals have been providing our customers with the beauty of outdoor water features and the relaxation they bring to homeowners. Why Professionally Installed Water Feature? There’s landscaping and then there is luxury landscaping. No matter how simple, how affordable or how easy your water feature is to install, it instantly takes your landscaping from beautiful to extraordinary. The world is quickly catching on to the fact that the water feature aesthetic is a great selling point in the future as well as providing perfect enjoyment for the present, and more and more homeowners and businesses are choosing to incorporate outdoor water features into their own yards. What makes our custom designs so much more than just your basic water feature is that we can do whatever you imagine desires. We can take your ideas and create a tangible design that adds to the comfort and relaxation of your home. Whether you want a custom fountain to a small waterfall at the front door to a koi pond or an aquatic flower garden, we can build it to be beautiful and long-lasting. Our professionals have done it all, and there is nothing we cannot accomplish for you with our team of experts and our top-of-the-line equipment. If you can dream it, we can create it. 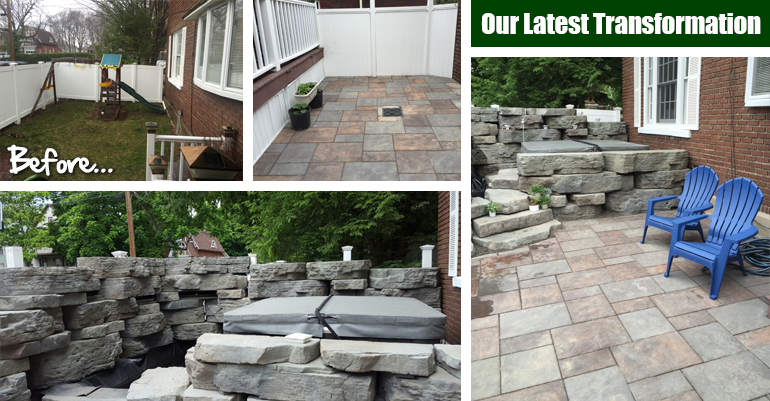 Our customer in Binghamton, NY wanted to create an outdoor grotto area around their outdoor spa to transport them from Binghamton to the Rocky Mountains whenever they stepped into their backyard. The water feature, landscaping, and outdoor lighting all created an ambiance that only the expert team at A Great Choice could have provided. Our fountains bring with them an appeal that cannot be denied. From allowing the eye to settle on a focal point in a large garden to providing your family or customers with a quiet place to sit down in a comfortable chair and reflect, relax or just enjoy a cup of coffee, we can make it happen. Fountains can be stand-alone designs, or they can be built into an existing garden or pond to create an even more interesting look. Many homeowners in Binghamton and Ithaca choose to add a fountain to their yard to create a more aesthetically pleasing garden area, or even to provide a place to relax. In addition to adding a custom fountain to your existing garden or lawn, we can also install them in your pool or spa. We can even create a fountain wall behind your fire pit for serious "wow" factor, and so much more. 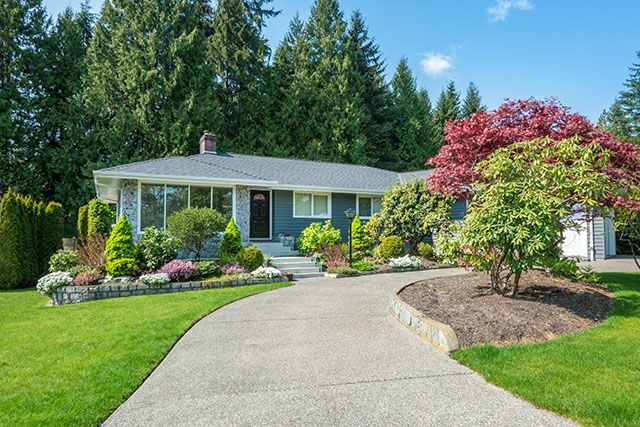 A bubbling brook or a still pond can add so much interest to a lawn. For many, the idea of a small pond in the garden is almost a guarantee that you will see the wildlife that lives near your home making themselves at home. If you’ve ever dreamed of sitting on your porch at dawn watching deer drink from your little pond, adding this water feature is a great way to get connected with nature. Additionally, you can enjoy a koi pond, a goldfish pond, or simply create an amazing place for the kids or grandkids to search for frogs and tadpoles during that time of the year. An outdoor pond provides a natural look that makes any lawn look so much more exciting. Not everyone has a pond in their yard, and not everyone has the ability to live waterfront. If you want a bit of waterfront living at home, a customized pond – big or small – might be the way to go. From beautiful pool waterfalls to gorgeous waterfalls that cascade down a decorative wall, we can do it all. These are some of our favorite water features to install as there is so much you can do with a custom waterfall and the before and after transformation is jaw dropping. Whether you want something subtle to capture the simple sound of the water or something more vibrant like a rock grotto, our water features are personally customized to each customer and installed with care and precision every single time. If you have kids, you probably wonder how safe it is to have a water feature in your lawn. We understand; the health and safety of your children always comes first and foremost in your life. For families with small kids or grandparents with a lot of love to share with their own grandchildren, we offer water features that are safe and nonthreatening to children. Pond-less waterfalls are a very popular trend for people who are worried about the safety of your children. In this case we remove the active, noticeable reservoir from your lawn in the form of a pond and create one that is located under the surface. All you have to worry about is answering all the inquisitive questions as to where the water is going in your "magical" waterfall. It’s our job to create the illusion that the water from the waterfall disappears. Not only is it something that allows parents and grandparents to feel more secure with the kids in the yard, it’s also an impressive feature for guests to observe. The best part is that these waterfalls can be built upon later on if you decide you would eventually like to have a pond in your lawn. What we offer with our water features is the chance to create something unique in your landscaping. Anyone can have a lovely garden, a beautiful flower bed or gorgeous grass. With the addition of a water feature, however, you take your home from being "pretty" to a true conversation piece. The best way to see what is possible with your backyard space is to schedule a FREE estimate with our expert water feature design team. The professionals at A Great Choice Lawn Care and Landscaping know that water features are an enticing idea. We’ve been installing custom water features for more homeowners and businesses in the Binghamton and Ithaca NY regions for more than 20 years, and we have the experience and know-how you need to create a look and ambiance for your backyard that will create an outdoor oasis for you and your family. Call (607) 729-3451 to schedule a free estimate today.